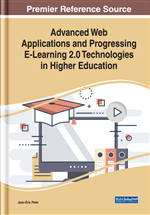 This chapter aims to suggest a new conceptual framework by presenting a view of the main disruptive strategic trajectory implemented by a particular model of training platforms. It aims to participate in the understanding of the dynamics of training platforms strategy through the analysis of the Cousera case. The iterations of this platform with a market under construction can be read as a strategy to bring out new proposals and value networks. Finally, the authors discuss the “drivers” of future changes in the MOOC market. The coordination platforms’ strategic trajectory framing makes it possible to exhaustively describe the evolution of Coursera's strategy. In particular: to draw lessons on the strategy of this type of platforms – to understand the impact of MOOC’s strategic innovation on “high / low customers”; i.e. segmentation by type of customer likely to use the product MOOC. Coursera's initiatives to make profit and develop its business model represent both a form of strategic intent in the sense of Hamel & Prahalad (1989), but also a form of strategic groping. This case analysis provides more general lessons on the issues and consequences of the strategic groping of coordination platforms with unstable economic models. Keystone: The keystone manages the interactions between the different sides of its ecosystem. This type of organization controls moving flows (courses, resources, and data).